ALICE WATERS's influence on American cooking is unrivaled. Inspired by the markets of France, Waters opened Chez Panisse (named Best Restaurant in America by Gourmet) in 1971, Chez Panisse Café in 1980, and Café Fanny in 1984. She founded her career on creating dishes using fresh, local, and seasonal ingredients long before sustainability was en vogue. Alice has been awarded the Legion of Honor, the James Beard Best Chef in America Award, Humanitarian Award, and Lifetime Achievement Award. In 1996, she created the Chez Panisse Foundation to fund the Edible Schoolyard, a model of edible education in the public school system. 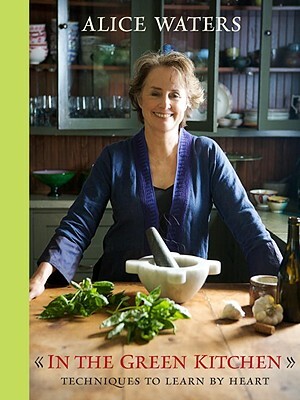 She is the author of many cookbooks, most recently In the Green Kitchen and The Art of Simple Food. For more information about Chez Panisse, please visit ChezPanisse.com. For more information about Alice's work with the Edible Schoolyard, please visit ChezPanisseFoundation.org.